You’ve convinced me Simon. I really wasn’t sure about this one – it sounded a bit hype-y – but I’m going to plunge in after your enthusiasm. I’m a bit the same about child narrators generally, but for some reason child narrators solving mysteries works just fine. Strange but true. My favourite child narrated novel is Spies by Michael Frayn. A child cannot always understand the adult world but the reader can through their eyes. Not always though – it look me ages, even thought this is a novel set in WWII to work out who the ‘Juice’ were. Thoroughly recommend it. Got my copy in the post today. I may have to break the TBR Dare (again) to read it! Loved loved this book telling everyone. 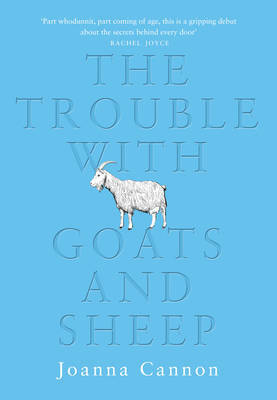 ‘The Trouble with Goats and Sherp’ is my new best friend! Love this book and this review summarises its appeal very well.